A home buyer or seller can not close escrow without hearing about the need for inspections. But what does a home inspection report disclose and how much should it cost? 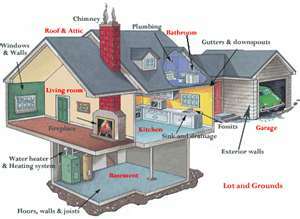 A typical home inspection ranges between $250.00 and $350.00 depending on the size of the home. Our experienced inspectors take the time to review the entire report and address any questions or concerns. We also provide information on what repairs should cost and recommendations for qualified specialist. Framing, ventilation, type of roof construction, flashing and gutters. Main panel, sub-panels, circut breakers, types of wiring, grounding, exhaust fans, receptacles, ceiling fans and light fixtures.